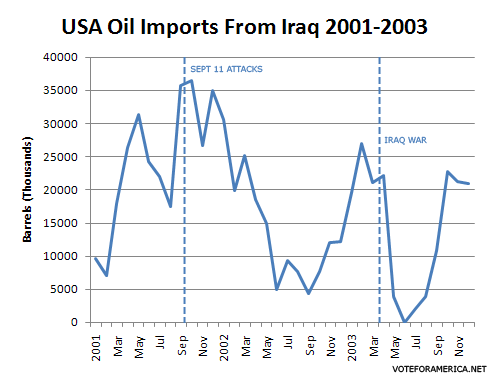 The next graph has nothing to do with Iraq, but rather Iran. 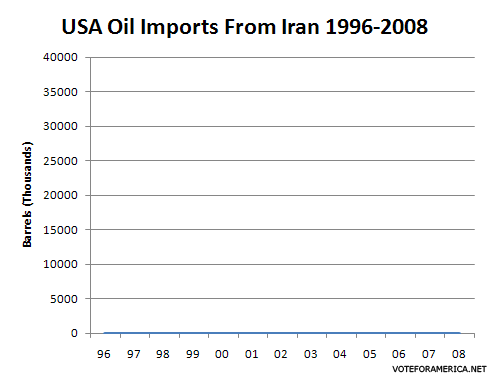 The same Iran McCain preaches about in his energy policy. 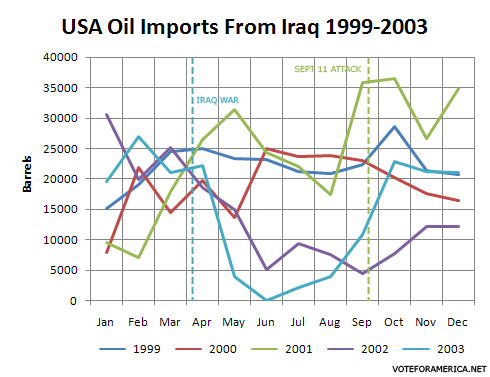 The data clearly paints a picture though; Iran really has nothing to do with our dependence on foreign oil because the USA has never depended on Iran for oil. U.S. sanctions against Iran due to Iran's historic support for international terrorism and its actions against non-belligerent shipping in the Persian Gulf impact the development of its petroleum sector. 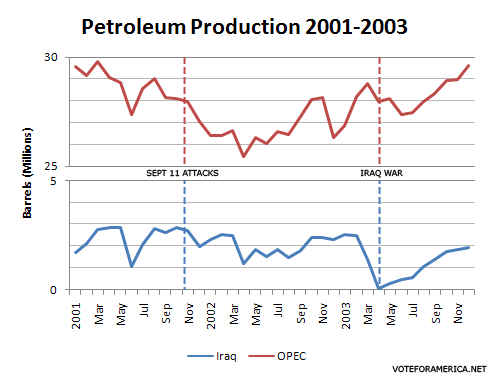 According to the Iran Transactions Regulations, administered by the U.S. Department of Treasury's Office of Foreign Assets Control (OFAC), U.S. persons may not directly or indirectly trade, finance, or facilitate any goods, services or technology going to or from Iran, including goods, services or technology that would benefit the Iranian oil industry. U.S. persons are also prohibited from entering into or approving any contract that includes the supervision, management or financing of the development of petroleum resources located in Iran.